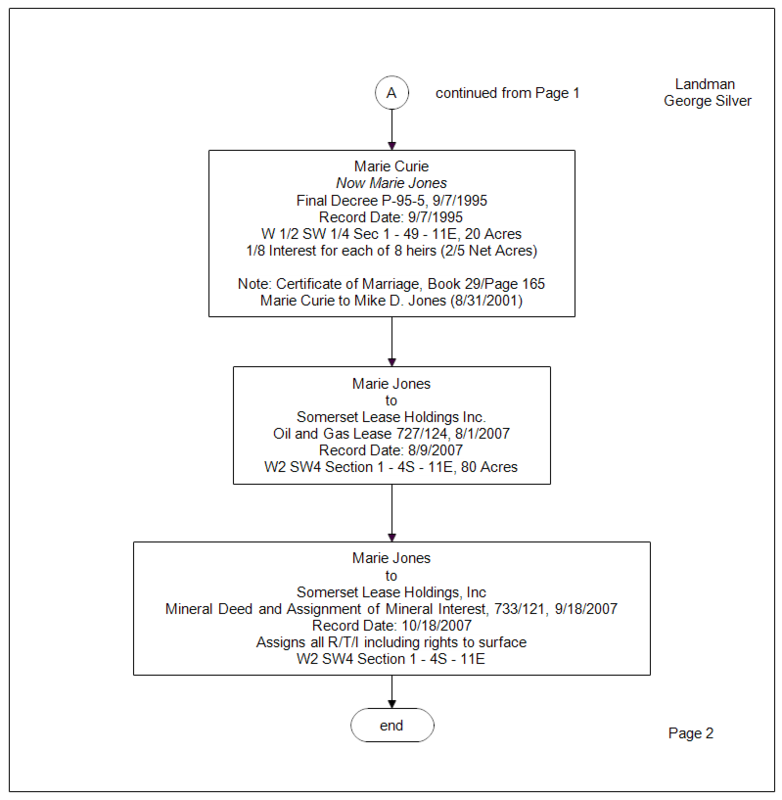 The last three boxes show the Grantor and the Grantee, which is actually more clear and could be done throughout the entire chart. Land is often divided up among the offspring. A sample of this is shown below. 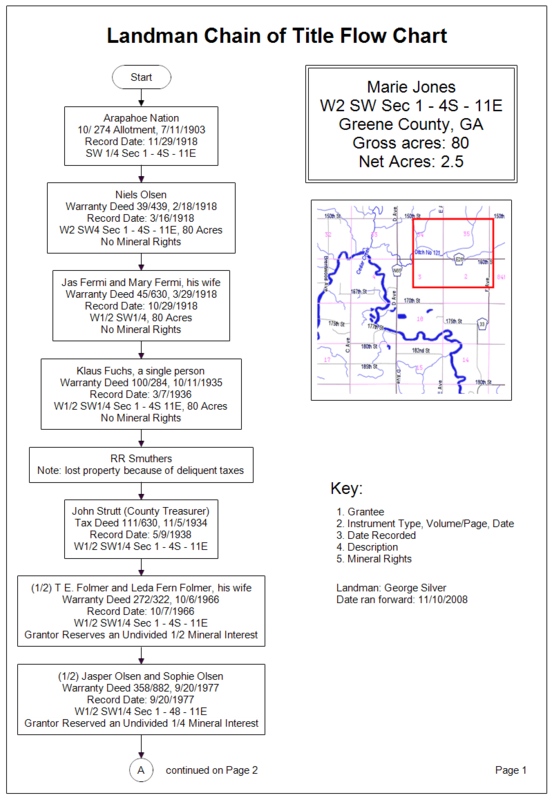 Determing the mineral rights over several generations can get complicated. 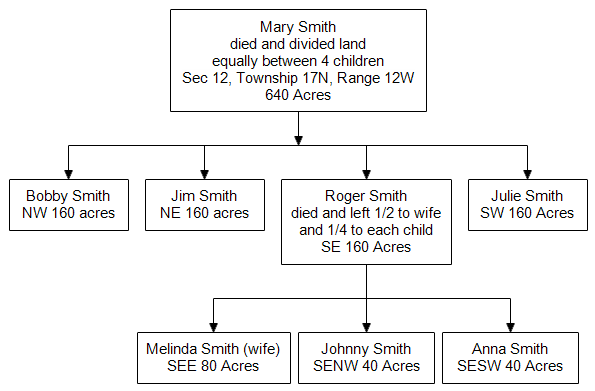 Sometimes the landman will be unable to find the next deed or even a record of death, so the chain of title is incomplete. 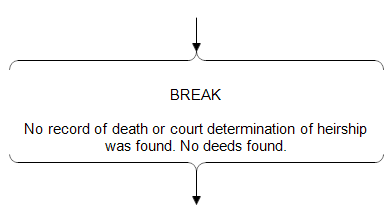 In such cases, just use a bracket shape, type BREAK, and explain the circumstances as shown below. Then search for relatives and continue with the next recorded deed.